This summer up your tan game with Marc Jacobs Beauty O!Mega Bronze in Tan-Tan-Tastic! This oversized radiant-matte powder bronzer is perfect for the face and body. It instantly beautifies with the touch of a brush. Created with micro-fine, jet-milled powder and advanced pigment technology, O!Mega Bronzer blends seamlessly onto your skin for a flawless, radiant-matte finish. Conditioning agents ensure a smooth, silky texture, while the bronzer's universal shade, Tan-Tastic!, gives you a natural looking, even glow. For optimal bronzing, apply with the Marc Jacobs The Bronze Bronzing Brush. I finally found a bronzer that works with my pale skin tone. The color may not look right on the screen but it is a beautiful shade. It's a beautiful light brown that anyone can with light to medium-dark skin could wear. And is smells like coconut. I have never had a bronzer that worked for me before and I finally have one that looks decent on me. Usually they end up looking muddy and too orangey or too dark. 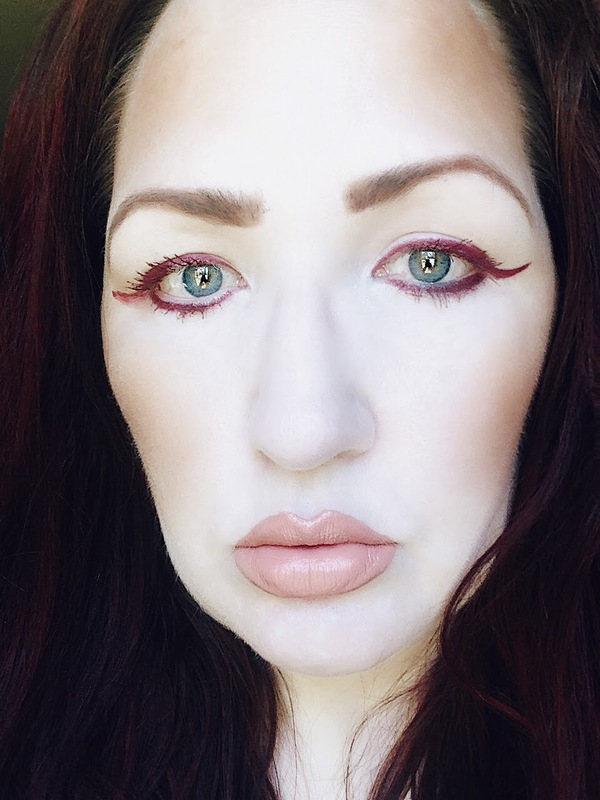 It also makes a great contour shade for my cheeks. 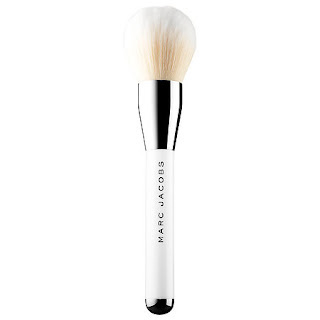 The Marc Jacobs The Bronze-Bronzer Brush No.12 is a beautiful deluxe extra-large bronzer brush that gives your face and body an effortless, sunkissed glow, in a limited edition white handle and brush head. Created to amplify the performance of O!Mega Bronze Coconut Perfect Tan, this luxurious brush (made with synthetic, anti-bacterial hair) was designed with a generous, extra-wide shape and feather-soft bristles for a natural-looking, perfectly blended tan. Extremely easy to apply on the face and body, use this brush for a fool-proof finish and instant bronzing success. This is the perfect brush to use with the Marc Jacobs Beauty O!Mega Bronze Coconut Perfect Tan. That product is large and needs a large brush that has compact bristles which can apply the powder in a neat fashion. This brush does exactly that. I love how it picks up just the right amount of powder and applies it without being too heavy. And it blends like a dream. It is just about the best brush I have ever used. Marc Jacobs Beauty O!Mega Bronze Coconut Perfect Tan is available at www.sephora.com and SEPHORA stores. 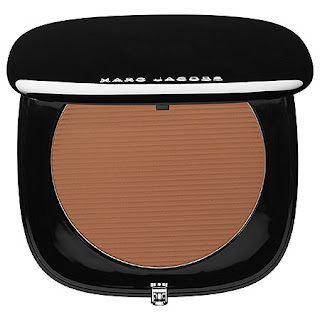 The Marc Jacobs Beauty The Bronze-Bronzer Brush No.12 is available at www.sephora.com, www.marcjacobs.com/beauty and at SEPHORA stores. Like Marc Jacobs Beauty on Facebook: https://www.facebook.com/MarcJacobsBeauty; Follow Marc Jacobs Beauty on Twitter: @MarcBeauty; Follow Marc Jacobs on Instagram: http://instagram.com/marcjacobsbeauty# and Subscribe to Marc Jacobs on YouTube: https://www.youtube.com/user/MarcJacobsBeauty. Like SEPHORA on Facebook: https://www.facebook.com/Sephora?ref=br_tf; Follow SEPHORA on Twitter: @Sephora, Follow SEPHORA on Pinterest: http://www.pinterest.com/Sephora/; Follow SEPHORA on Instagram: http://instagram.com/SEPHORA#; Subscribe to SEPHORA on YouTube: http://www.youtube.com/channel/UC9YX5x_VU8gfe0Oui0TaLJg; Follow on Google+: https://plus.google.com/+ Sephora/posts; Follow SEPHORA on Wanelo: http://wanelo.com/sephora and Follow SEPHORA on Tumblr: http://theglossy.sephora.com/.